This stunning space wallpaper is a color composite of the unusual polar ring galaxy NGC 4650A. 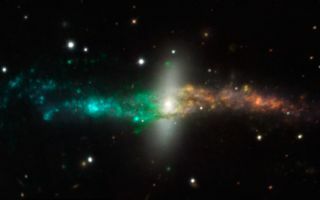 The image was created from data from the new MUSE instrument on ESO’s Very Large Telescope. This image was released March 5, 2014.